When shooting a top class glamour photography portfolio, a professional make-up artist is as essential as the photographer. It’s the ability to create a look for each individual project that makes UK Glamour Photo-Video stand out. My team includes a dedicated, reliable make-up artist who will know exactly how to achieve the right look with careful application of make-up. Trained to a high standard and used to working with professional models and performers, the artist will apply make-up for photography which is a specialised skill. They use the finest cosmetics to bring out your natural beauty, enhance your best qualities, demonstrating a vision of your personality. 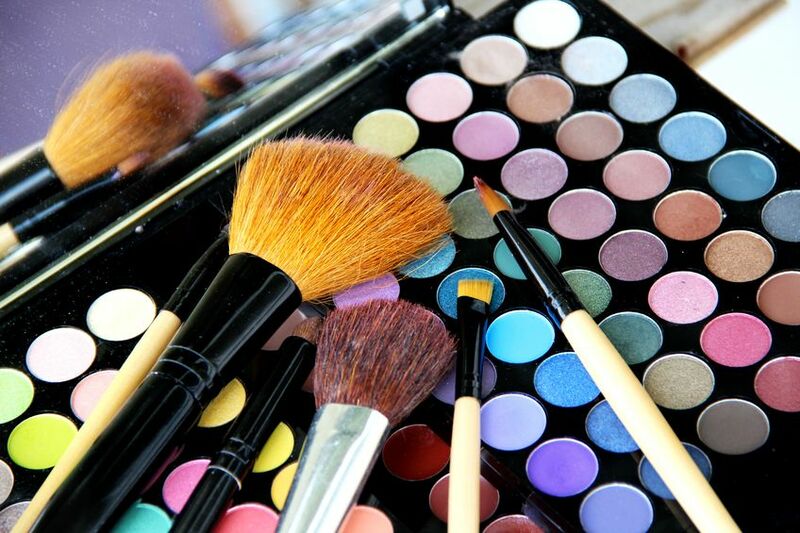 They instinctively know that it is make-up, correctly and expertly applied, that will best express your individuality and enrich your confidence. Make-up professionals provide the tremendous upbeat atmosphere on a shoot, setting the tone, making you feel at ease. They are friendly and willing, full of advice and tips, giving away lots of their secrets on how to present you to the camera, looking divine. Using a wide variety of beauty products, including MAC and Bobby Brown, I have full confidence in my team of make-up artists; they are specialists in their field, with years of background knowledge in theatre, video and photography. Applied with brushstrokes of subtlety and precision, make-up injects a feeling of splendour and bold confidence before striking a pose in front of the camera. The best make-up artists will immediately make you feel good before, during and after application. I know that when my models have been through make-up they will have had the best preparation possible. For a make-up artist, every new face is a project and a canvas. As a London glamour photographer, I see each girl as unique with superb potential. Everyone possesses natural beauty: we simply allow it to be seen as a fascinating, real and living portrait.